Apprenticeships are at the very heart of Invotra – more than a third of employees are current or former apprentices! 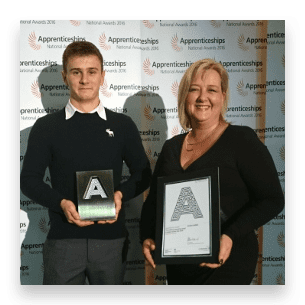 We know what we’re doing when it comes to offering apprenticeships too – we have been listed as a Top 100 Apprenticeship Employer, we deliver award-winning apprenticeships. and our Andrew won 2017 National Apprentice of the Year! We are committed to sharing our experiences and success with apprentices and, as part of National Apprenticeships Week 2019, we have been sharing all of our apprentices’ success stories throughout the week, as well as taking part in events to promote apprenticeships. At Invotra we work with an organisation called QA who deliver training to our apprentices. Studies fit around working within the business, giving the opportunity to gain valuable on-the-job learning. Find out more about being an Invotra apprentice – View our apprenticeship videos here or check out our Youtube channel. What's in it for apprentices? At Invotra our apprentices get to work in all areas of the company, gaining real responsibility and experience from the start. We support our apprentices to finish their studies, with quick career progression. 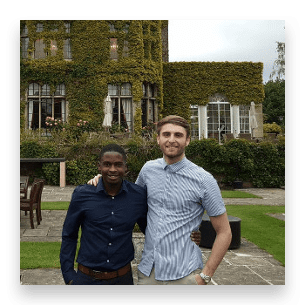 Read about Billy and Nqobile’s story, both apprentice graduates who are now leading their own teams at Invotra. It is an opportunity to begin earning while continuing your education and gaining qualifications, avoiding the debt of going to university. 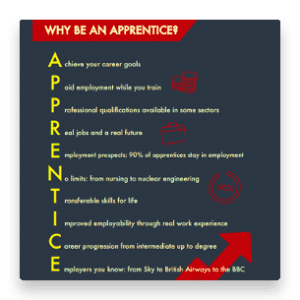 Did you know you can even do a degree apprenticeship? Find out more on QA’s website. Who will apprentices be working with? 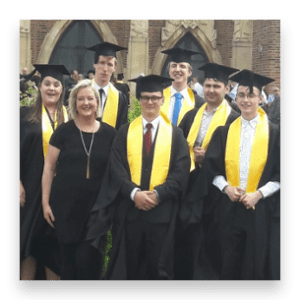 Invotra’s apprentices get experience working across our organisation with a variety of people, many of whom are current and qualified apprentices, so you’ll get plenty of support. Our apprentices have shared their experiences on our Meet our Apprentices page. 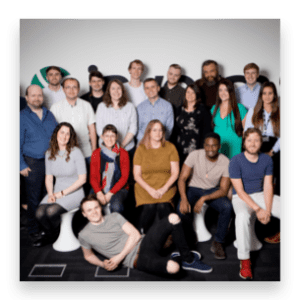 It is important to us that you find the role you’ll excel in, and that we are able to use the skills and strengths you bring to our organisation, and we have a workforce full of experienced and knowledgeable people to help make that happen. Meet the Invotra team you could work with. What type of apprenticeship roles are available at Invotra and how do I apply? We have exciting roles in many areas of our organisation, in our various office locations. Email your CV and a short cover letter to jobs@invotra.com. If you’re looking for information specifically about the apprenticeships we offer at Invotra through our partner QA, visit QA’s website. There are lots of apprenticeship resources available on the Amazing Apprenticeships website.